화엄사는 지리산 남쪽 기슭에 있는 절로 통일신라시대에 지었다고 전한다. 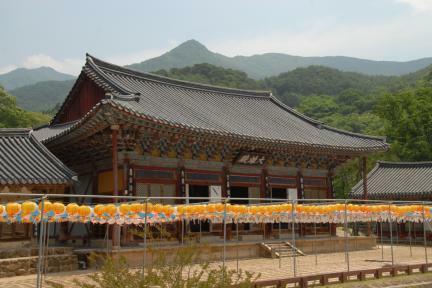 조선시대에는 선종대본산(禪宗大本山)으로 큰 절이었고, 임진왜란 때 완전히 불탄 것을 인조 때 다시 지어 오늘에 이르고 있다. 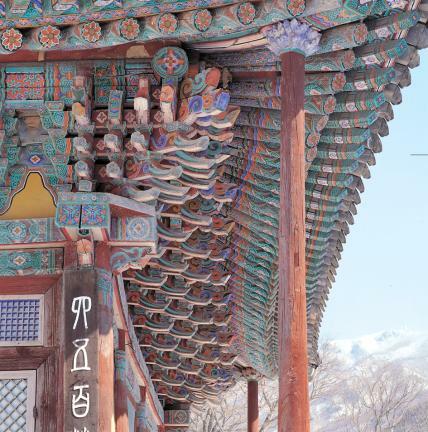 그 중 절의 중심 법당인 대웅전은 화엄사의 건물 중 각황전(국보 제67호) 다음으로 큰 건물이다. 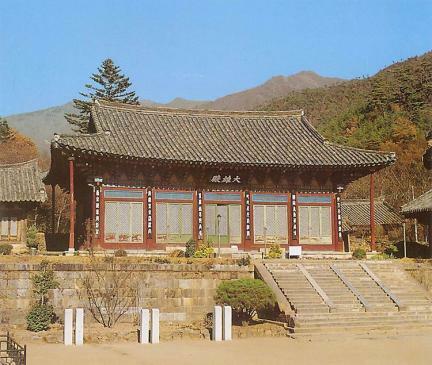 지금 있는 건물은 조선 인조 8년(1630)에 벽암대사가 다시 세운 것이라고 한다. 규모는 앞면 5칸·옆면 3칸이고, 지붕은 옆면에서 볼 때 여덟 팔(八)자 모양을 한 팔작지붕이다. 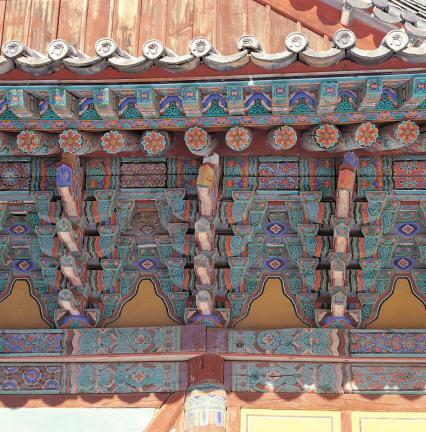 지붕 처마를 받치기 위해 장식하여 짜은 구조가 기둥 위뿐만 아니라 기둥 사이에도 있는 다포 양식으로 꾸몄다. 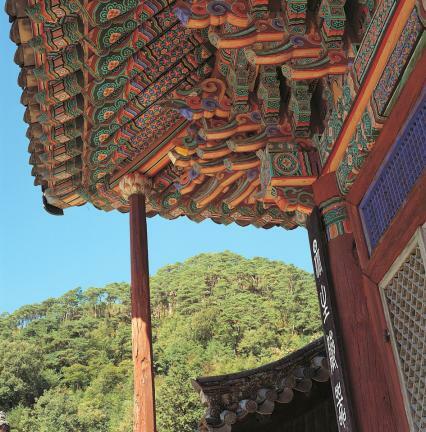 건물 안쪽 천장은 우물 정(井)자 모양으로 만든 우물 천장이며, 삼존불 위쪽으로 장식적인 성격을 띠는 지붕 모형의 닫집을 놓아 엄숙한 분위기를 한층 높이고 있다. 규모도 크고 아름다우며 건축 형식의 특징과 균형이 잘 잡혀있어 조선 중기 이후 건축사 연구에 귀중한 자료가 되는 건물이다. 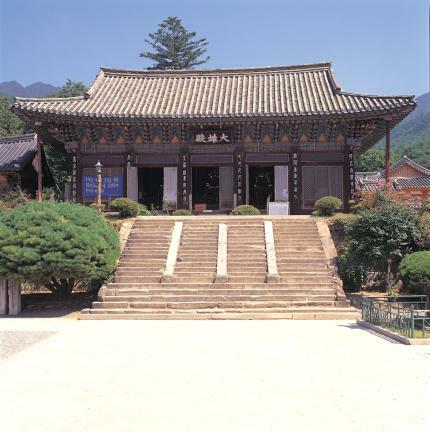 Established during the Unified Silla Period, the Hwaeomsa Temple has long since been the center of the Hwaeom Order of Korean Buddhism. 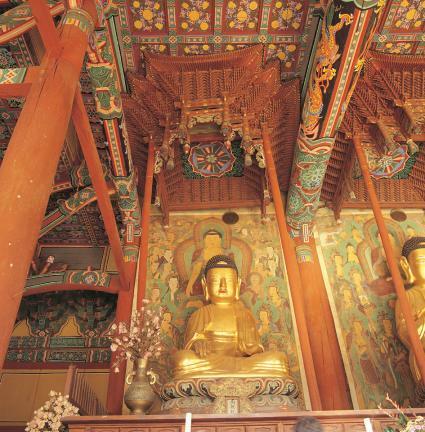 The Daeungjeon Hall, or the main hall of any Buddhist temple, is usually the oldest building in the temple grounds that houses the Buddha Triad. 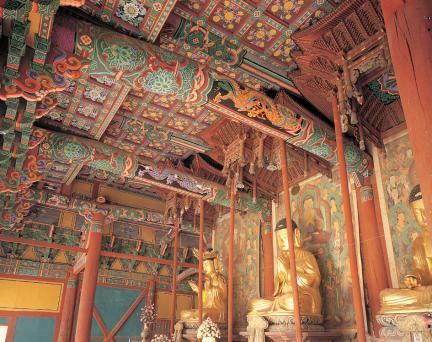 This temple is believed to be built by a great Buddhist monk named Byeogam in 1630 (the 8th year of King Injo’s reign). 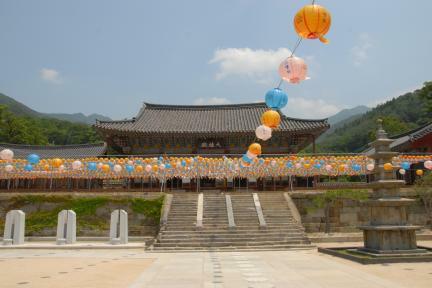 The Daeungjeon Hall is the second biggest building in the Hwaeomsa Temple following the Gakhwangjeon Hall. 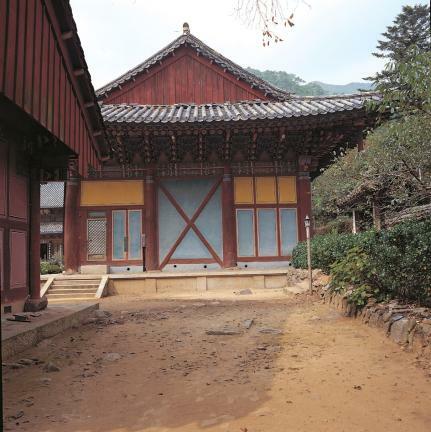 The hall measures 5 kan (a unit of measurement referring to the distance between two columns) by 3 kan under a hip and gable roof. 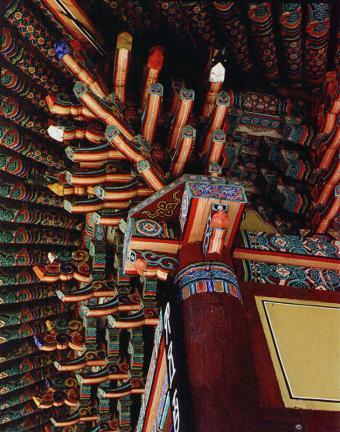 The column-heads adorning the top of each column are designed to support the weight of roof. 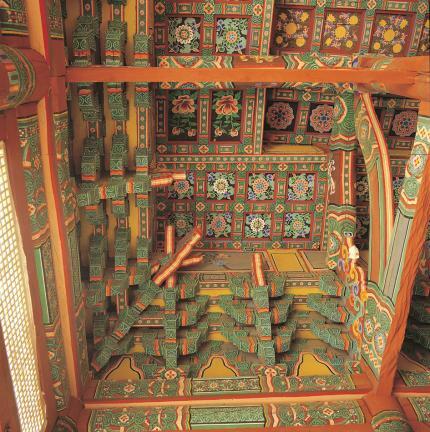 This dapo (multiple column-heads) style clearly shows the architectural style of the time. 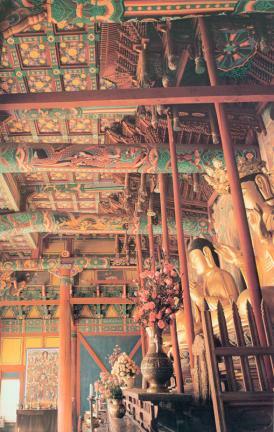 The ceiling beams are criss-crossed, and a canopy is placed on top of the Buddha Triad to add to the solemnity of the place. 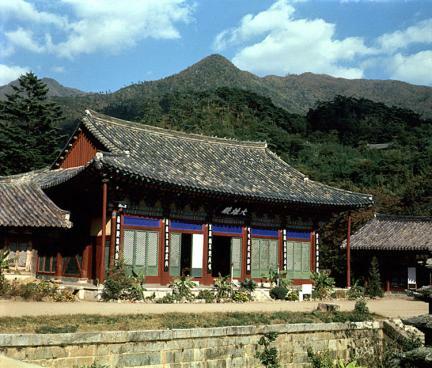 The size, beauty, balance and the architectural features make this building an important material for studying the architectural history of the mid Joseon Dynasty.